What to do at the airport when your flight was cancelled or your luggage didn’t arrive? You can easily check a free-of-charge mobile application which covers your passenger rights and which was launched by the European Commission. You may also use the information about the air carrier’s obligation of care in case of flight cancellation caused by a snow storm. 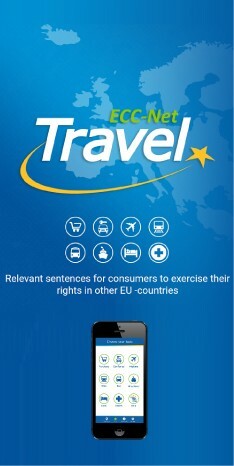 The European Commission continues in its effort to empower the position of passengers in the European Market and it has prepared a mobile application which enables the passengers to hold their rights literally in their hands. Thus it is not necessary to search for legal regulations at the airport and negotiate with the carrier’s staff who may try to avoid their obligations as provided by legal regulations. You can just use the information included within the application and prove that you have your rights to enforce. The information included in the application covers the rights and options for passengers in various annoying situations such as cancelled or delayed flights or loss, delay or damage of luggage. The mobile application was originally prepared for the air and rail transport and has been updated for the bus/coach and waterborne transport in 2013. The application is available on the following mobile platforms: Apple iPhone and iPad, Google Android, RIM Blackberry and Microsoft Windows Phone 7. In winter, flights may be cancelled or significantly delayed due to snow storms. In such cases the carrier is obliged to provide a free-of-charge assistance to passengers including refreshments and accommodation if necessary. The air carrier is not obliged to pay the compensation of 250 to 600 EUR which is applicable when the reason of the cancellation or delay is on the carrier’s side. In case that the above mentioned free-of-charge assistance is not provided and the passenger has to arrange everything on his own, passengers are entitled to ask the refund of the real necessary costs proven by appropriate receipts. The article was published in Czech in the consumer magazine dTest in February 2013.